This type of hiking consists of walking along paths and tracks. These routes were often the old links between villages, towns or special places (hermitages, springs, lookout points, etc. ), many of which still exist today and form part of a country’s cultural heritage. 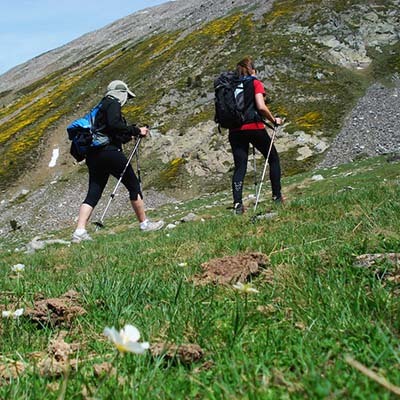 Hiking along relatively level paths allows you to appreciate the mountain scenery, learn to distinguish different animal and plant species and also recognise the physical geography around you. *2 guides per 20 participants.